Facelift and a New, Real-life Mascot! 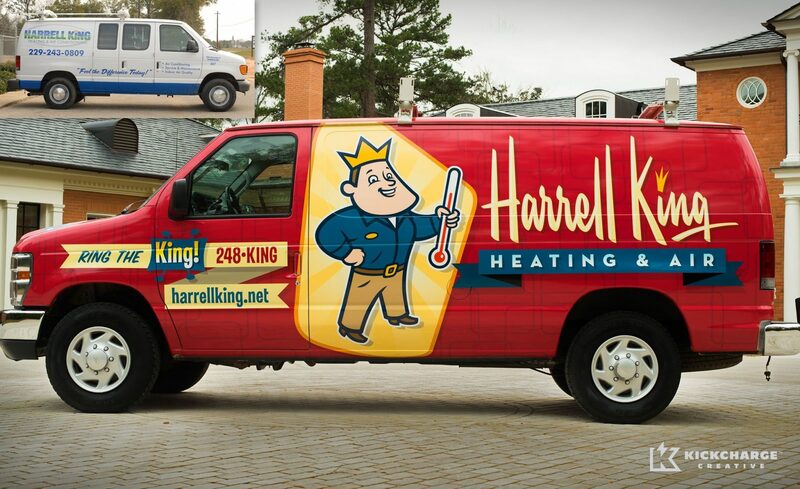 For over three decades, Harrell King has provided excellent HVAC services to clients in Bainbridge, GA and the surrounding area. Its tagline, “Service Fit for a King,” suited its corporate philosophy of providing excellent customer service to its clients. As the company approached its 30th anniversary, it became clear that its current logo and identity did not represent its philosophy and unique brand promise. 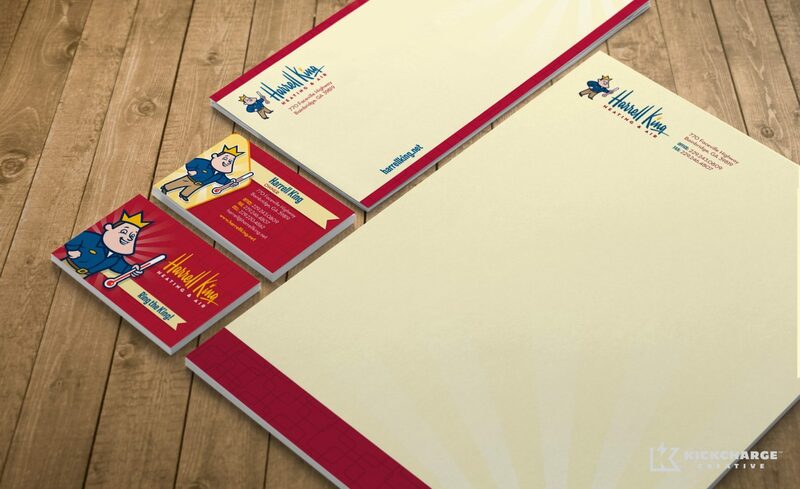 After analyzing Harrell King’s previous marketing efforts, we decided to develop its new brand around a retro character—which would reinforce the company’s tagline and corporate philosophy. After several concept sketches, we settled on a character that exudes confidence, is memorable, and has a tie-in to their company name. Once the brand development was completed, we began implementing it within other media channels, including vehicle wraps, uniforms and stationery. Harrell King even went as far as to have their mascot turned into an actual mascot! 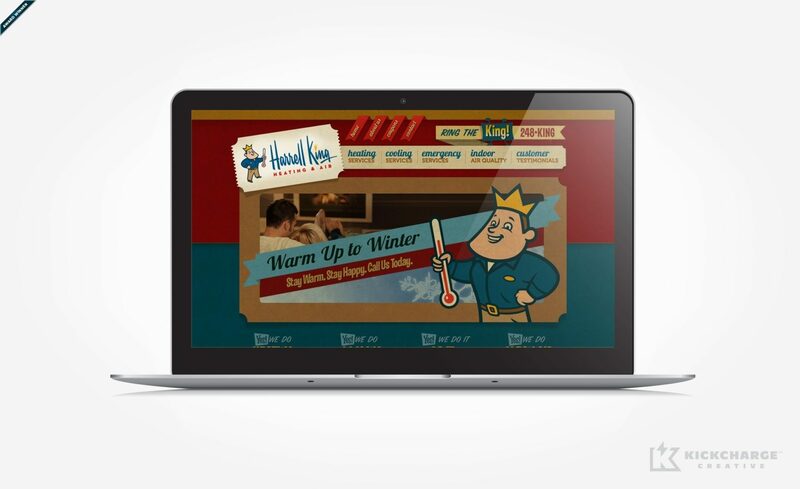 We then embarked on a website redesign to capture the retro feeling that the brand evokes. For this task, it was important that the new brand be heavily integrated so the site would stand out among the company’s many “cookie-cutter” competitors. The result was a stunning online presence that not only captures their brand’s personality and promise—but instills confidence in their clients’ minds about their commitment to service excellence. Harrell King even had their mascot turned into an real-life mascot! 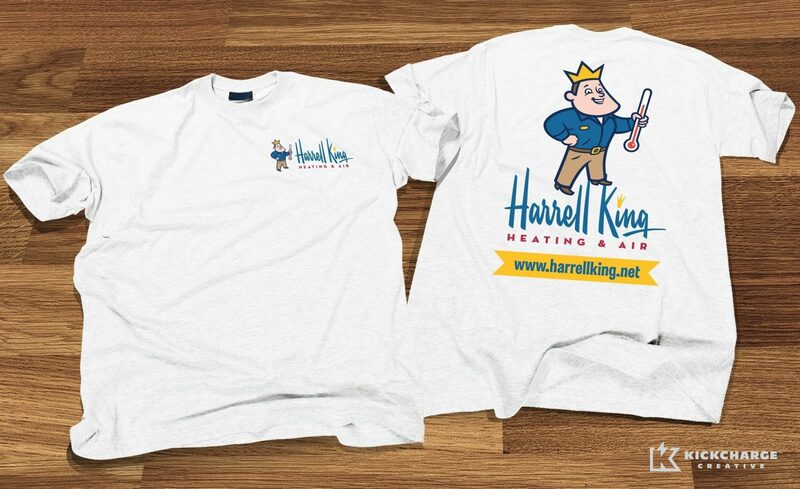 In addition to Harrell King Heating & Air standing apart from their competition and remaining the talk of the town, the rebranding efforts helped to increase their sales between 23-28% during the first year of rebranding. 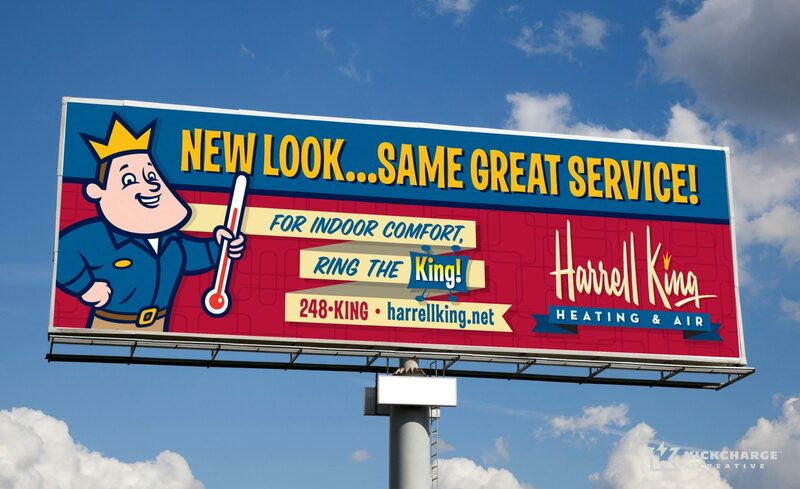 Within two years of the rebranding efforts, Harrell King’s sales increased between 34-39%—the highest number of sales seen within their 30+ years of experience. Now, due to a combination of their new brand and high quality service offerings, Harrell King owns 48% of their market share.